For me, day 3 of London Fashion Week will be know for the massive train delays, the afternoon sun and meeting the designers. Today was a little quieter than the previous, but none the less fashionable. So here a little photo insight into today. 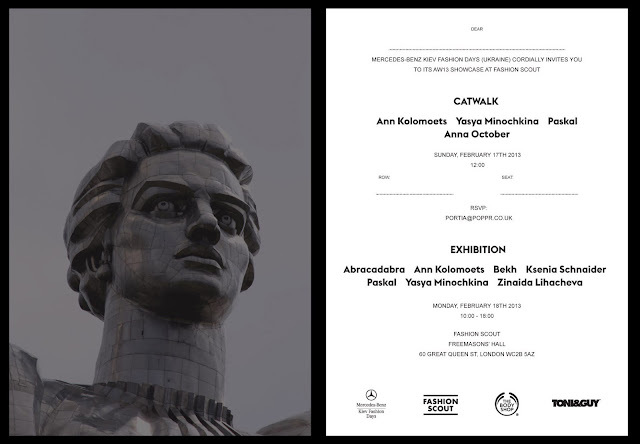 12:00 - Mercedes Benz Kiev Fashion Days AW13 Show, featuring . . .
And today I wore . . .
A full report of the shows, exhibition and designers coming soon! Love the pics and love what you're wearing! Glad you're having a great time hun!